The culture has changed! 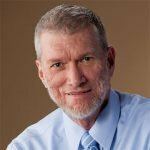 Christian values and traditions, even terms that were once common knowledge, have become a thing of the past. Many in today's important millennial generation say that the typical Sunday morning sermon sounds more like a foreign language than a clear call to salvation. 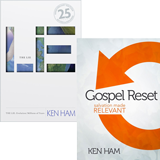 "I urge you to make sure this book gets into the hands of every pastor, Christian leader, Sunday school teacher, parent, and young adult you know. 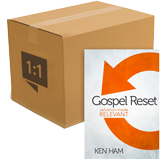 I truly believe Gospel Reset is a powerful challenge to the church, one that will be a wake-up call for many Christians to the huge changes that have occurred in the culture—and how to reach this world with the saving gospel." 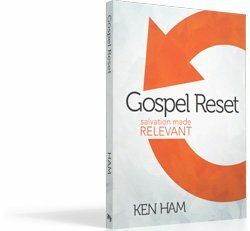 Ken Ham's compelling new book, Gospel Reset, is perhaps the most strategic and timely book on evangelism today!